Shiv Shankaran Nair currently serves as the Executive Chairman of Suez Holdings, a global strategic communications, public affairs, political and financial advisory firm based in Dublin, with offices in Abuja, Muscat, Beijing, Doha, London, New Delhi and Quito. With over 20 years of experience in both the public and private sectors, Shiv began his current role within the company in January 2011. He is also the Chairman of Suez Grindlay and Co. an insurance and reinsurance broking company, licensed by The National Bank of Hungary. In this role he advises the company on its holistic big picture and strategy within the global market. Shiv is a prolific entrepreneur who has he has set up, added value and sold several companies, especially across economic regions in transition. With a background in financial engineering and government advisory roles, in addition to his post on the board of Suez Capital, Shiv holds a number of distinguished positions within the Government of Vanuatu. He has served as Special Advisor to the Ministry of Foreign Affairs since 2013, and became Trade Commissioner for Spain, Italy, Hungary, Switzerland, Montenegro and The MENA region for the Government of Vanuatu this past April. He also was the Personal Envoy of the Foreign Minister in negotiating the re-recognition of Georgia, for its Ministry of Foreign Affairs. In 2016, the Vanutau Government tasked him with a mandate to seek assistance to clean up Vanuatu’s offshore banking, gaming and shipping sectors. 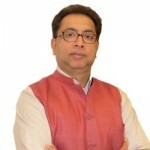 Shiv holds an MBA in Political Risk from the University of Strathclyde, and studied Accounting and Finance, Business Studies, at London South Bank University. He resides in Malta, and enjoys traveling, sports and sailing in his spare time. International Society of Business Leaders Member Shiv Shankaran Nair, MBA can be found on the Society Directory, where he is looking forward to networking with you.